The Volkswagen Group (VW) with its headquarters in Wolfsburg is one of the world's leading automobile manufacturers and the largest carmaker in Europe. In 2011, the Group increased the number of vehicles delivered to customers to 8.265 million (2010: 7.203 million), corresponding to a 12.3 percent share of the world passenger car market. In Western Europe just over one in five new cars (23.0 percent) comes from the Volkswagen Group. Group sales came in 2011 to 159 billion euros (2010: 126.9 billion). Profit after tax in the 2011 financial year amounted to 15.8 billion euros (2010: 7.2 billion). The Group is made up of ten brands from seven European countries: Volkswagen, Audi, SEAT, SKODA, Bentley, Bugatti, Lamborghini, Volkswagen Commercial Vehicles, Scania and MAN. Each brand has its own character and operates as an independent entity on the market. The product range extends from low-consumption small cars to luxury class vehicles. In the commercial vehicle sector, the product offering spans pick ups, buses and heavy trucks. The Group operates 94 production plants in eighteen European countries and a further eight countries in the Americas, Asia and Africa. Around the world, 501,956 employees produce about 34,500 vehicles or are involved in vehicle-related services each working day. The Volkswagen Group sells its vehicles in 153 countries. It is the goal of the Group to offer attractive, safe and environmentally sound vehicles which are competitive on an increasingly tough market and which set world standards in their respective classes. 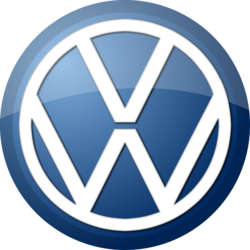 Volkswagon cut the dividend in 2010 following reduced vehicle demand during the global downturn but have sinced up the dividend to well above pre-recession levels. They have a very high dividend cover and are projected to keep upping the dividend in coming years.